Wells Harbor is a protected cove located on the lower Maine Coast. Additionally, the Wells Harbor Inlet is the point at which the Webhannet River empties into the Atlantic Ocean. 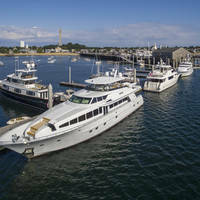 Wells Harbor is 4.5 miles southwest of Kennebunkport and 19 miles north of the New Hampshire/Maine state line. 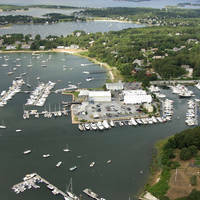 The image above is a view from the east looking west over the jettied Wells Harbor Inlet. Off in the upper-left-hand (south) corner of the image, Wells Beach is visible, while off to the right (north) is Drakes Island Beach. Off in the distance at the very top of the image is the Wells Harbor town dock. 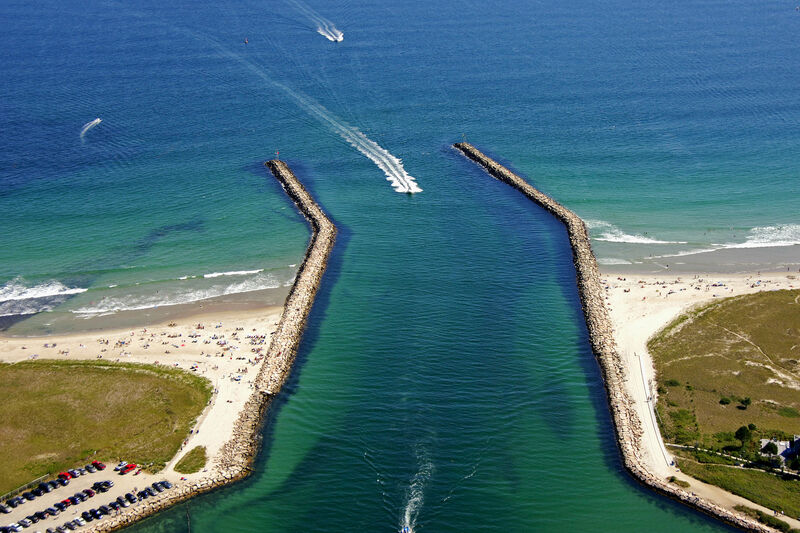 Wells Harbor is approached from the east through the Atlantic Ocean. Navigating the inlet is fairly simple and straightforward. 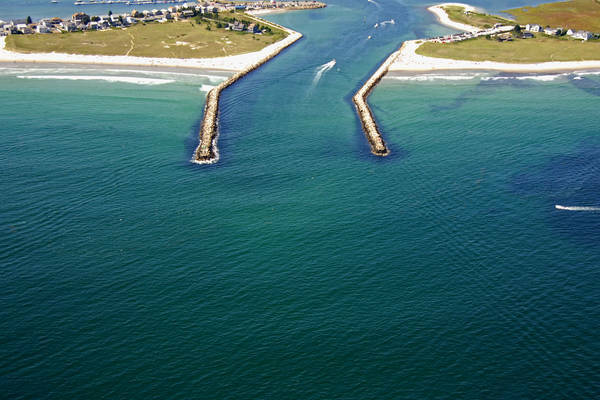 There are six-foot depths between the jetties and those depths carry most of the way back to the town dock where depths shallow to four to five feet. From the Atlantic Ocean, first set a course to intercept red and white buoy WH, which is located at an approximate position of N43 18.834 W70 32.868. Once you have safely navigated to the aforementioned buoy, set and follow a new course of about 321 degrees magnetic for approximately three-tenths of a mile. 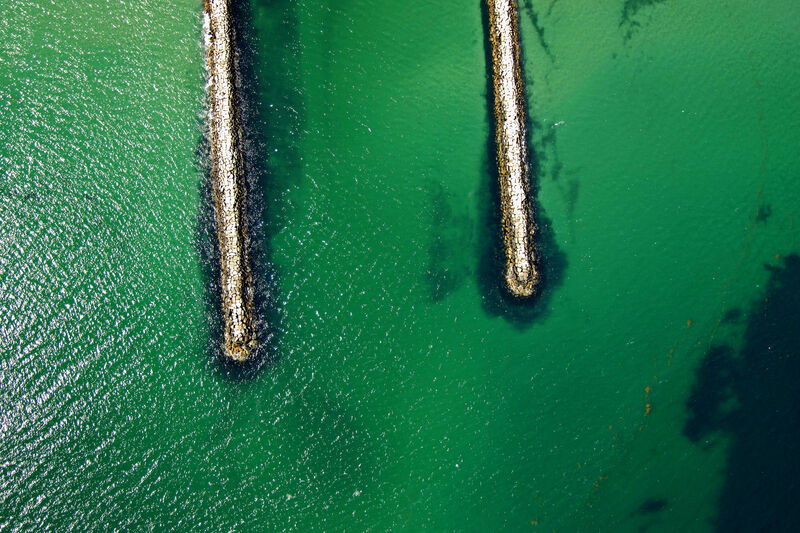 This will put you directly between flashing green 1 and flashing red 2 on the south and north inlet jetties, respectively. After negotiating the inlet, head father back to the northwest (keeping to mid-channel, note the darker water in the image above) until you reach green daybeacon 3. Past green daybeacon 3, the harbor channel curves sharply south toward the town dock and mooring field. No reviews yet! 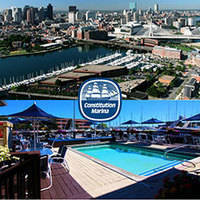 Be the first to write a review of Wells Harbor Inlet.